With October being Breast Cancer Awareness Month, there are plenty of opportunities to get the word out about prevention, risk assessment, and more. It's also a great time to raise money for research. Both Purposed for Pink and Bright Pink are going their part. 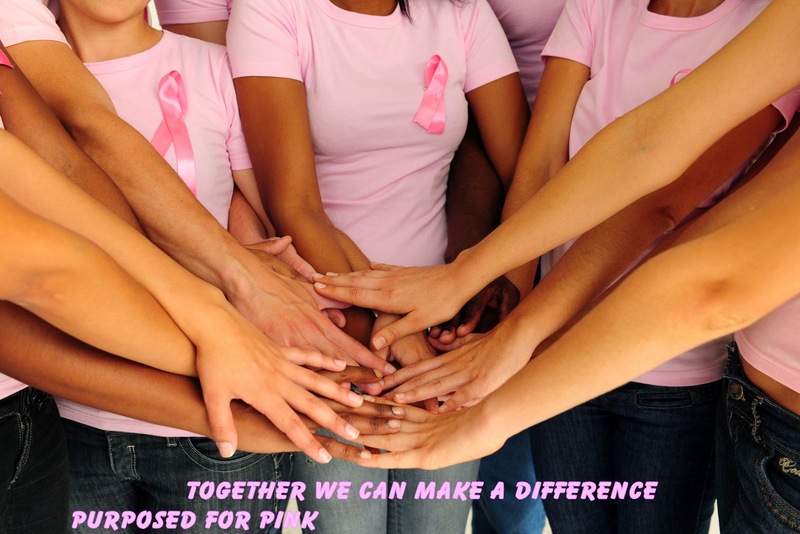 It's October and as you know it is Breast Cancer Awareness Month. I like to invite others to contribute to the campaign even if they can’t physically attend my annual Pink Party. My request is simple: please consider making a donation and feel free to also to share the link with your friends! Most companies match individual donations of $25 or more, so please make sure to request a Matching Gifts form. We are proud to share our 2014 cause marketing sponsors. Click on each sponsor to learn how to support us through these collaborations. 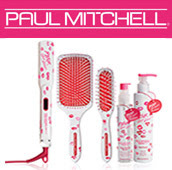 In honor of Breast Cancer Awareness Month, Paul Mitchell is introducing the Limited Edition Pink Out Loud! Collection, giving select styles special packaging in support of Bright Pink. Additionally, thousands of Paul Mitchell Future Professionals will be educated on breast & ovarian health basics and will fundraise to benefit Bright Pink. Aerie is excited to debut the Limited-Edition Bright Pink Charley Bra in stores and online starting 9/25/14, with 100% of sales benefitting Bright Pink. Customers will also have the opportunity to make a contribution at register and those that donate $5 or more will be gifted an Aerie Bright Pink lipgloss. eBay users can support Bright Pink’s mission year-round with the click of a button. Integrated into eBay's regular buying and selling platform, eBay Giving Works allows sellers to donate a portion of their sales and buyers to give as little as $1 at checkout. From 9/29-10/9, bid on a chance to golf with LPGA star Natalie Gulbis! 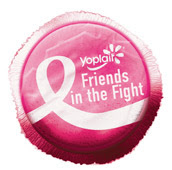 Bright Pink is one of this year’s beneficiaries for Yoplait’s Friends in the Fight program. Select Yoplait product lids turn pink and carry a code that allows you to go online and direct 10¢ of Yoplait’s total $350,000 donation. Look for Pink Lid products in stores starting 10/1/14. Codes may be redeemed until 3/31/15. Bright Pink is proud to be the charitable beneficiary of Dirty Girl Mud Run. Throughout 2014, hundreds of thousands of women at races nationwide learned how to be proactive with their breast and ovarian health. Get dirty in the name of raising awareness for Bright Pink. 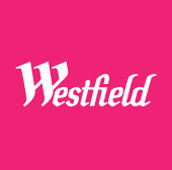 In May of 2014, Westfield Corporation Shopping Centers across the country celebrated VIPink Weekend, educating over one million shoppers and raising nearly $100,000 for Bright Pink. Beginning this fall, Bright Pink will have year-round, in-center breast & ovarian health education at 38 Westfield centers nationwide. Under Armour proudly supports Bright Pink’s commitment to empowering women to live proactively. Under Armour Ambassador and world- renowned yogi Kathryn Budig proudly headlined FabFest Chicago 2014. 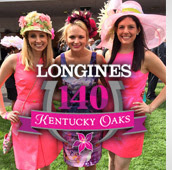 Bright Pink is proud to be the charitable beneficiary of the 140th & 141st running of the Kentucky Oaks. The annual Pink Out festivities feature a survivor's parade, life-saving education and more. Join us at The Oaks on May 1, 2015! 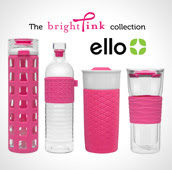 Ello is proud to present the Bright Pink® product line of BPA-free glass water bottles and coffee tumblers. The four-piece collection is available at Target stores nationwide and online at Target.com. 8% of proceeds benefit Bright Pink. 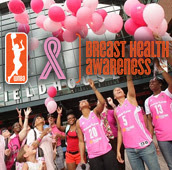 Bright Pink was proud to be the WNBA’s community partner for WNBA Breast Health Awareness Week. From July 28 - August 3, 2014 Bright Pink’s life-saving education was featured in arena concourses, on video boards, in broadcast and on social media during 12 WNBA games nationwide. 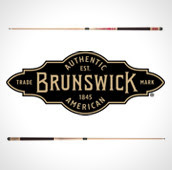 Brunswick is proud to support Bright Pink with their limited edition Bright Pink cue sticks, available for purchase online and at authorized Brunswick retailers nationwide. $10 from the sale of each pink cue, as well as $50 from the sale of each pink table tennis table, will benefit Bright Pink. This fall, ACURE educators will support Bright Pink’s high-risk communities by providing complimentary skin consultations to women at Experiential Outreach Groups nationwide. 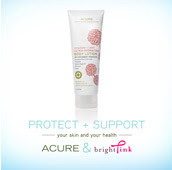 Additionally, ACURE’s natural skincare products were included in FabFest participant gift bags.